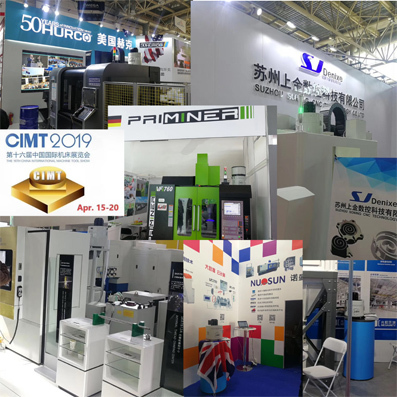 Filtermist (Shanghai) Ltd is currently exhibiting Filtermist oil mist collectors at the 16th China International Machine Tool Show (CIMT) which is taking place in Beijing this week. The team is showcasing how Filtermist products and services protect people from exposure to harmful airborne contaminants generated in metal machining operations in more than 60 countries worldwide. It is also demonstrating how investing in effective oil mist extraction can help Chinese manufacturers achieve some of the targets laid out in the Made in China 2025 programme which was launched by the Government in 2015. As well as Filtermist's own stand (W3-A261), Filtermist units are also being displayed on lots of other machine tool stands around the show. David Westwood, Filtermist's Director of Sales in China, comments, "We are delighted with the support we have received from our partners - it is very encouraging to see so many Filtermist oil mist filters as you walk around the show. Ensuring workshop air is clean and free from contaminants provides a number of benefits including a more productive workforce. More and more manufacturers are recognising the importance of internal air quality and the amount of Filtermist units on show at CIMT is testimony to this. "We enjoyed an excellent first day today and are looking forward to the rest of the week." Filtermist's CIMT booth can be found on the UK pavilion which is being hosted by the Manufacturing Technologies Association (MTA). Please contact your local distributor to find out more about Filtermist oil mist collectors.